The environment has always been a pet cause for many Bangaloreans, more so now with the Metro eating into the city’s greenery and no substantial replacements for felled trees being initiated. But if you thought disruptive ways such as organising protests and marches was the only way to seek the attention of the government, MS Prasad and Praveen D Rao, the founders of Prakruthi, a non-profit organisation, say there’s a musical approach to it. Every week, musical programmes will centre around a certain theme or a certain poet’s compositions and eminent musicians will perform before a mixed audience who can savour these recitals every day from 5pm to 7pm, starting Sunday, January 17, absolutely free of cost. There will be a tribute to the late Raju Ananathaswamy and the late Dr C Aswath by musician Sangeeta Katti this time. “This is free entertainment. If we were to price the tickets, middle class families would refrain from attending them,” Prasad explains. “If a ticket was priced at Rs100 and a family of four were attending, they would end up spending Rs400 only for the tickets. Transportation costs would be additional, say Rs200, and then their grub to keep them going through the show, another Rs200 to Rs400,” Prasad explains, elaborating on how middle-class families would refrain from spending Rs1000 on a day’s entertainment. According to him, free shows give artists the liberty to touch people’s hearts, with a strong message embedded in their music, adding that such music recitals are sheer stressbusters. Besides, this platform will also be used to create awareness about plastic usage and basic maintenance of a healthy environment — a cause that this NGO passionately espouses. Remember, this Habba was first conducted 2008-09, when a tribute to matinee idol Rajkumar was paid and “C Aswath sang Mysore Mallige compositions, Supriya Acharya sang S Janaki hits, Pallavi sang Bendre compositions, Sangeeta Katti sang compositions by poets of North Karnataka and we even had Japanese singers singing Kannada songs,” Prasad says, recollecting the success of last year’s Habba. They also paid a tribute to Sandeep Unnikrishnan and the late Raju Ananthaswamy. While MS Prasad co-ordinates the Habba as an event and arranges all the necessary logistics, Praveen D Rao, musician and co-founder, curates the music that is presented. It’s a responsibility that they both shoulder to ensure that the younger generation does not feel alienated to Indian art and culture. “It’s such a pleasure. This is a small experiment that we are endeavouring to give a few good things to youngsters,” Rao says. The long-drawn event will feature musicians such asSangeeta Katti, Pallavi Arun, Supriya Acharya, Nandita and Ravi Murur. There’s also an LR Eswari special besides performances by Nissar Ahmed and Puttur Narasimha Nayak. 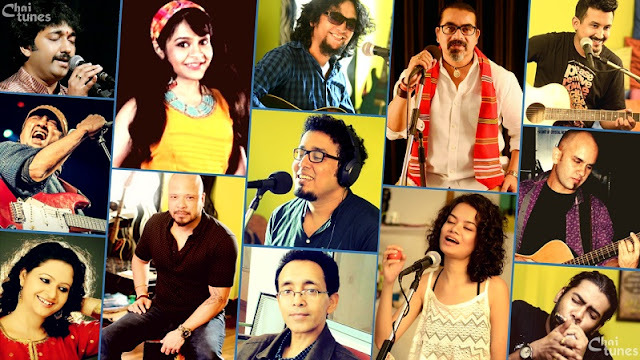 “We are providing our audiences with the best playback singers in town. This year, we even plan to introduce Hindi songs besides Kannada ones,” says Rao.